One of the primary monastic handicrafts in many monasteries in the past century or so has been the making of incense for church and for home use. The incense offered here is from a monastery in Kosovo that has been shown how to produce a high quality incense using a traditional Athonite recipe. 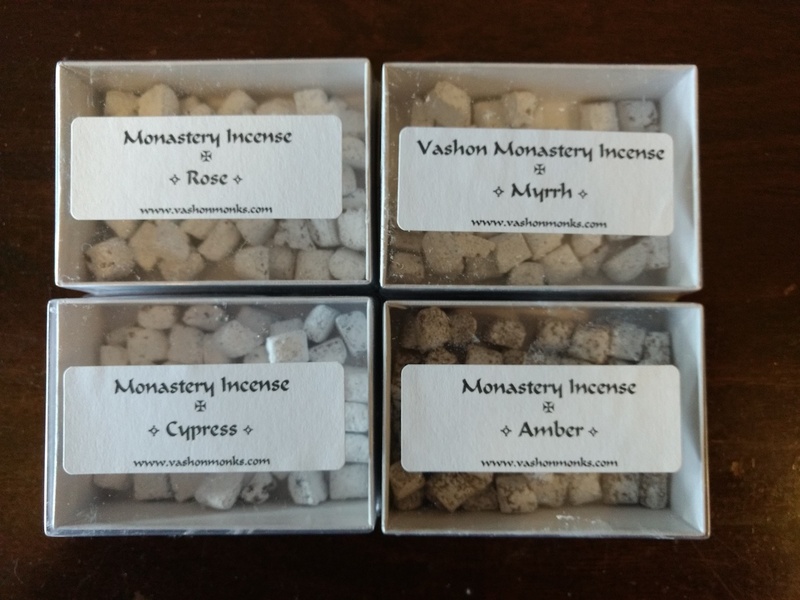 Of course, there are many monasteries which make incense, but we thought to explain how they make their’s, which, like the incense coming from the kellia of Mount Athos, is a good deal softer than much of what is sold today, and which you will find burns completely and to the very end, without turning into a smoldering ember, as some do. Only high quality essential oils are used (and in generous amounts!) that are the same as those used in many Athonite communities. The incense is made by the monks themselves, with prayer and with love. Athonite monks developed the present method used by the monks who make this incense, whereby natural frankincense resin is mixed with various scents. The production of this type of incense is a very laborious task. Besides requiring strong arms to knead the sticky frankincense resins, anyone who makes incense must have healthy lungs, as the entire time he will be subjected to strong fumes from the essential oils. In the past, only small kellia on the Holy Mountain made incense, and they were able to subsist upon the proceeds from selling it to bigger monasteries and lay people. Today, besides these kellia, most of the bigger monasteries at least make incense for their own bookstores. The primary ingredient in incense is pure frankincense, which is ground up using a special mill until it turns into a powder. There are also various workshops in Thessaloniki, Greece, who produce and sell already-ground frankincense powder. However, large producers, like the Dormition Skete belonging to Little St. Anne’s on Mt. Athos, grind it themselves for their own products. After measuring out the necessary amount of ground incense, they place it into a large bucket to mix it, adding the proper amount of essential oil for each kilogram of frankincense powder. If you wish to order our incense please GO HERE.